Today, I have further proof that the Internet makes the world a very small place. 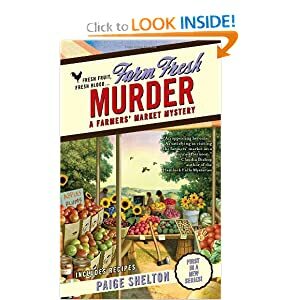 A while back I shared a book for my Book of the Week (that I post once a month or so), Farm Fresh Murder by local author Paige Shelton. Imagine my surprise when she left a comment on my little ol' blog! Since then I have coerced her into being my friend through emails about her books, canning, gardening and my general dorkiness. She recently posted about her own domestic challenges and actually admitted to knowing me. 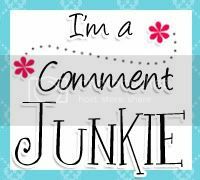 Right here....if you want to hear about her conversion to domestic goddessness. And be sure to give your condolences on her cactus. I know I'm always sad when one of my plants doesn't make it and goes to plant heaven. And just for fun, a trip down memory lane. Remember that one time...when I was baking bread....and almost lost my kitchen. Good times my friends, good times. Yes, it is the much anticipated slow cooker Curry recipe! It's a hard one so be sure to pay attention. Oh, who am I kidding? I don't do hard cooking so if I can make it, a trained monkey can make it. I like to use Kikkoman's Tikka Masala Curry sauce. It's yummy and not too spicy. We don't do well with super spicy as we all remember. I have found that adding two cans of coconut milk really lowers the spice factor without taking away the yummy taste. I usually add pineapple tidbits, peppers, carrots and zucchini. But you can really add anything you want....water chestnuts, potatoes, onions, anything. And you can make it as soupy or as veggie-ful as you want. I usually cook it on high for at least 3 hours so the veggies are soft and serve it over rice or quinoa. It's not just yummy, it's easy AND yummy. I'm thinking this will be a perfect recipe for this summer because it requires very little effort and we can use veggies from our garden. Another fabulous combination. You may (or may not) remember last year when I did a post on having a table centerpiece that is both beautiful and useful. It was riveting so I'm sure you all remember exactly what I'm talking about. But just in case, here's a picture of the centerpiece. The purpose of the post was to discuss the concept of form following function in design. My girls love having candle lit dinners and the process of taking the candles out and putting them away had become annoying. So I decided to make a centerpiece for our dining table that was attractive and included candles to make my life just a tad bit easier. Fast forward a few months....I'm wandering through the dollar store and see a bag of little red "berries" and I thought they would look great in the centerpiece for Christmas. We liked it so much that we left if out for Valentine's Day too. Which is good since that was pretty much my only decoration for Valentine's besides the paper hearts and a red Christmas wreath that also decided to multi-task. This month our centerpiece is celebrating St. Patrick's Day with flair. In case anyone is wondering, the leprechaun's treasure is on our kitchen table. I see lots of colorful jelly beans in our near future. And this summer, since it's too light for candles at dinner, I foresee a beautiful zen garden in the middle of our table. Yes, I'm a big fan of form following function in our home. With a little pizazz. Last May I had decided to try a little gardening experiment and plant some garlic. Like, straight out of my fridge and popped into the ground. Surprisingly, it grew really well. Until it got hot. Then it just kind of withered away even though I told it how pretty it was and encourage it to stick around. I had intended to dig it up last fall to see how much it had grown, but, like all my other good intentions, it just didn't come to fruition. I had read that you can plant garlic in February so I was totally ready to plant it in February. Then a washer lid fell on my face and I had to have surgery and blah blah blah....it didn't happen. It would have to wait until October, which would probably be better since that's when you're supposed to plant it. On Saturday CG was tilling the garden so we can plant our early things and just happened upon a little surprise. Oh yes, that is my beautiful garlic! Defying all odds and growing up through the leaves to triumph in it's awesomeness! All eight of them! My favorite is the one that grew right through the leaf. And yes, I realize I'm a total nerd. Me: No, Sweetie. That's where my friend Kristina lives. I don't know where the Kristina in your class lives. Watching Taylor Swift on late night TV when she mentions being a Sagittarius. Me: Hey, I'm a Sagittarius like Taylor Swift. Me: Seriously, we've been married ten years and you didn't know I'm a Sagittarius?! CG: Well...um....didn't they just change it or something. Me: Yes, but I'm still a Sagittarius. CG: So...have you always been a Sagittarius? Lolly: Mommy, what are you doing? Me: Just finishing up a blog post, sweetie. What's up? Lolly: Um....does anyone even read your blog? I have a very scientific way of choosing books at the library. I mostly choose my books by the picture on the front. If a book has a pretty or intriguing picture on the front then it has a pretty good chance of making it into our library bag. I will also choose a book if I find the title amusing or fabulous in any way. It's a rare occasion that I actually have my act together enough to pick up a book that has been recommended that I have been wanting to read. That usually only happens if I'm smart enough to reserve it at the library as soon as I hear about it. And then I find them in the hold section. Clearly the phrase "don't judge a book by it's cover" really never settled in with me. But I'm okay with that. During a recent excursion to our local library, I happened upon a book called "Farm Fresh Murder" by Paige Shelton. It wasn't really the title or a strong impression of the front cover that got my attention this time. It was my obsession with gardening and canning. I've been daydreaming of summer for quite a while now and so I have also been daydreaming and planning out my garden. What can I say....it gets me through the long, cold winter. And if you happen to be one of my gardening friends, then I will probably bring it up at least once during every conversation so I can hear what you're planning and talk about what I'm planning and just in general obsess. I'm socially blessed. So! This book was perfect timing. It takes place in South Carolina. I also daydream of moving there so it's fulfilling on the daydream side of life. And the main characters all work in their local farmer's market. I also found it fascinating to read about a place that no only has a year round farmer's market, but one that is open all week. Around these here parts it's only July to October and mostly only on Saturdays. Clearly I don't get out of the state all that often. As I was saying.....this was a really fun read for me. It was a fun escape from the snow. It's a mystery and an enjoyable read. It's not the kind of book that will change you as a person or make you more of a philanthropist. It is just a fun read. It also comes with recipes at the end of the book. Most of which I am planning on trying this year. And for an added bonus, when I finished the book I decided to read the little thing at the back about the author, Paige Shelton. I was pleasantly surprised to find that she's a local author and lives in Salt Lake City, Utah. So if you're all about reading local, this book will be a good fit for you too. **Edited To Add: I've read the other two books in the series, Fruit Of All Evil and Crops & Robbers, and I enjoyed those books as well. So...go for the whole series! Babs wanted to celebrate Dr. Seuss just like the big kids were doing at Lolly's school. With green eggs and ham for lunch, of course.